This is an update to my crude oil price trend forecast for 2018. 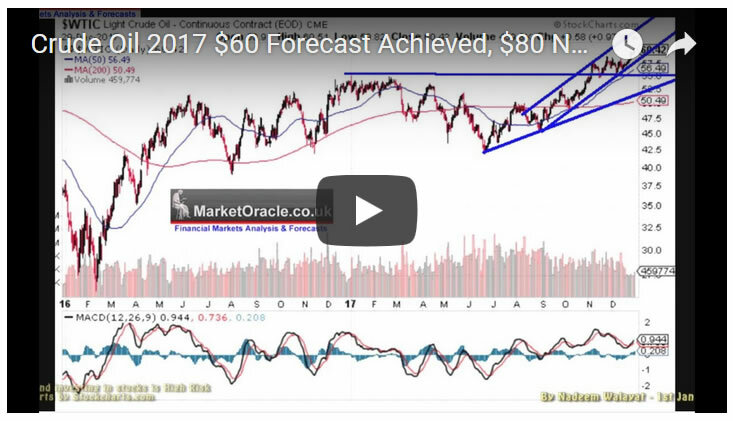 So firstly a recap of my forecast for for 2018 which since the start of this year has been for the oil price to target a trend to $80. 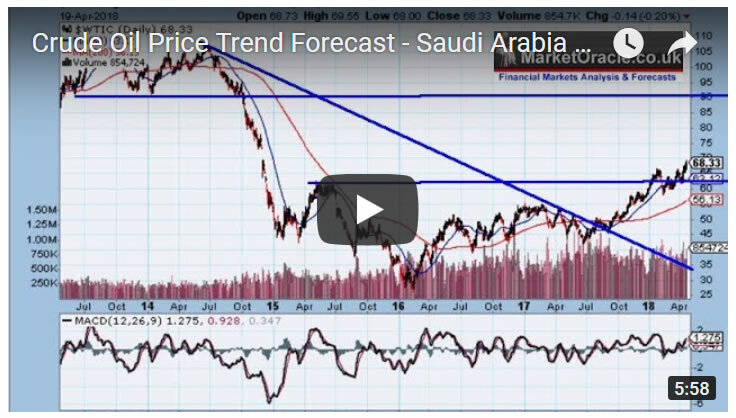 Therefore my forecast remains as at the start of the year that the crude oil price will target a trend to $80 which is not likely to be achieve during late December / early January 2019 as so far it is not showing any signs of wanting to breakdown into the lower end of its trend channel the consequences of which would be it would take a lot longer to get to $80. The trend trajectory is such that the oil price is likely to target a trend to at least $90 during 2019 and I would not be surprised if it even spikes to $100 as tends to happen when speculators who had their eyes elsewhere suddenly realise that oil is in a bull market. So as things stand today I expect the oil price bull market continue well into 2019.